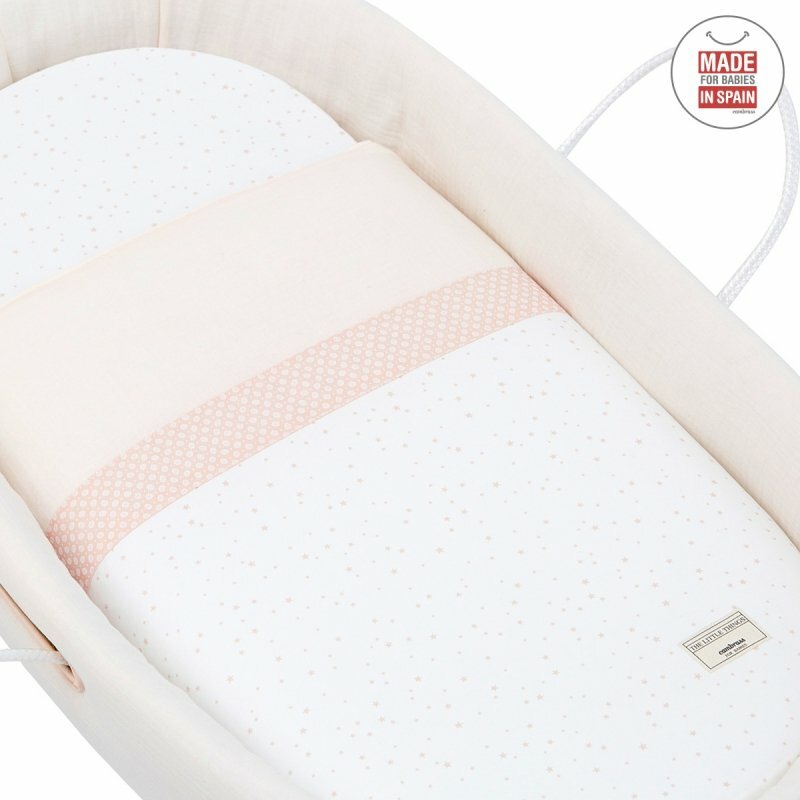 The Cambrass quilted basket is suitable for the first months of baby's life, and thanks to its convenient handles, transportation is easy. Made in Spain. By Cambrass. 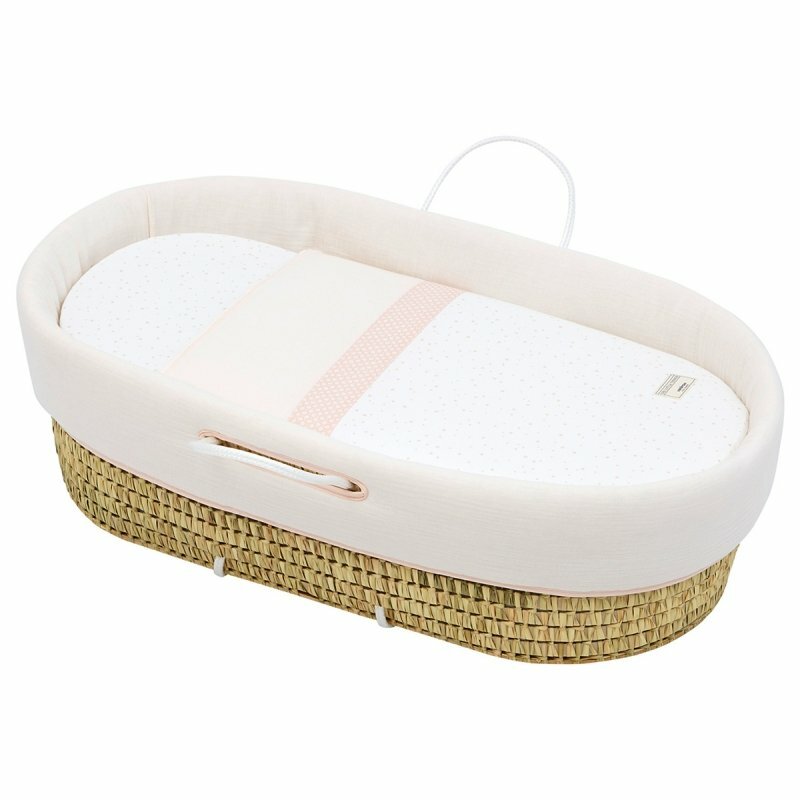 The Cambrass quilted basket is suitable for the first months of baby's life, and thanks to its convenient handles, transportation is a cinch. 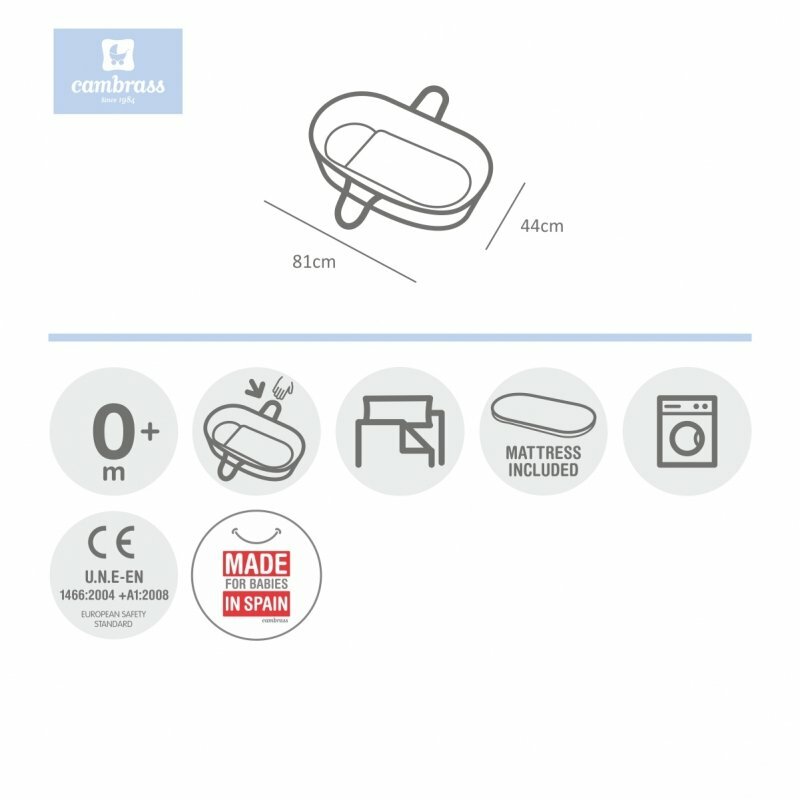 It consists of a wicker base, 5mm wooden slat support, mattress, blanket, pillow and lining, which can be coordinated with room decor. 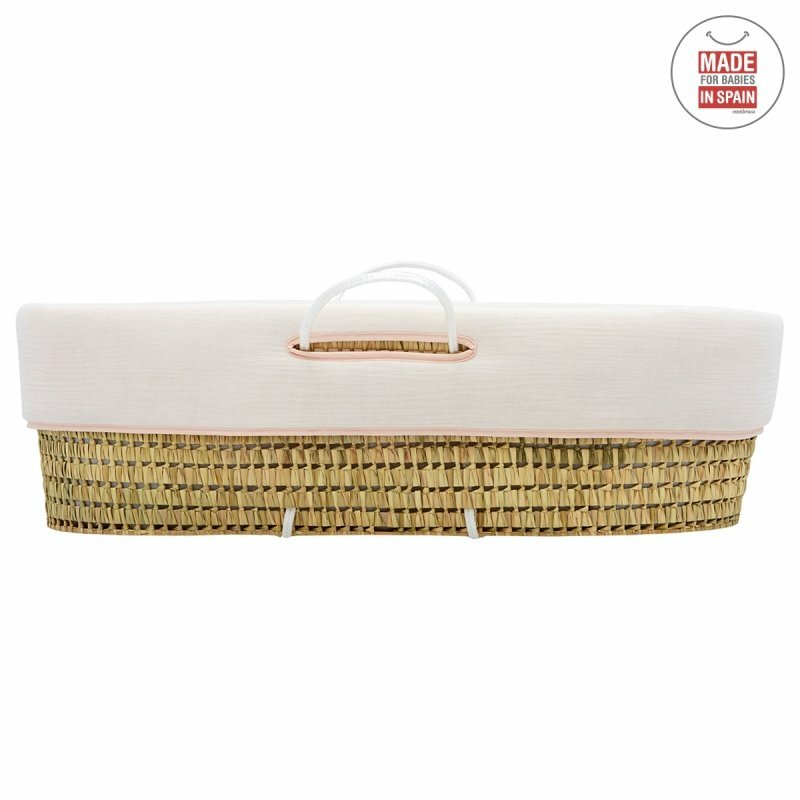 It has also passed all certifications, ensuring the safety of the baby while protecting its health, as the wicker frame has been treated to remove any small booklice (psocoptera) larvae, which in some cases can be found in palm leaves used in the manufacture of baskets. Made in Spain. By Cambrass.